Abbi Stoll is a fixture at Mechlin Farm — but not for long. 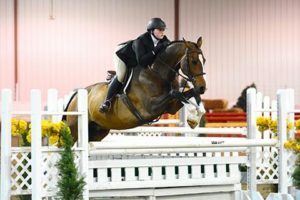 Abbi’s long-standing goal of riding for a college equestrian team is about to become reality, and that reality is located at University of Kentucky in Lexington. It’s a well-deserved milestone, for sure. Even so, her Mechlin barn family will be sad to see her go. Abbi is a versatile rider, knowledgeable horsewoman and a friendly, supportive teammate. We know she’s on her way to greatness, so we asked her to share a few thoughts about the journey. When and how did you start riding competitively? I started riding competitively when I was 8 years old in the crossrails at the Bridlespur Horse Show. I started doing rated shows when I was 14 with Sarah. My grandma had been riding since I can remember. She taught me how to ride and to take care of the horses. You’ve had success in all three rings. What are some of your favorite moments or memories? Everyone likes to win, myself included, but some of my favorite memories from the show are not the trips where I win, but the ones where I am riding the young horses. Sometimes we win and sometimes we don’t, but at the end of the round I walk out of the ring confident in my ride and that both the horse and I did our best. What advice do you have for kids just starting out? Don’t give up and never stop trying. No matter how difficult the exercise may be or how frustrated you may be at the horse or yourself, never stop trying. Collect yourself and try again. Why does that quote resonate with you? When I was in fifth grade during Spirit Week, we had a day where we got to dress up as what we wanted to be when we grew up. I showed up in my riding clothes, boots, and a helmet. I even carried around a crop. Later, when I was a freshman, I thought I should do what would make the most money and what would make my parents most proud of me. But I knew that the barn was where I belonged. How did the college decision-making process go for you? I was very indecisive at first and a riding team was a number one priority for my college-picking decision. I really liked the equine science and management program that they have at University of Kentucky. The other colleges I looked at, like Aurbun and West Texas A&M, only had the animal science or agricultural management. Kentucky had the best of both worlds. Do you have any horse show rituals or superstitions? I don’t have any superstitions when it comes to showing, but I have a lucky crop that I carry. A tradition I started not too long ago is before every horse show I buy a package of horse cookies from Snaks Fifth Avenchew and give one to my horse every day after we show. And, your favorite horse show food? Bacon, egg and cheese on a bagel. I’ve had the privilege of being one of Abbi’s high school teachers.I also taught both of her parents. She is going to be an asset to UK’s equine program. She is the real deal, always a genuine person. I wish her the best in this new pursuit! Congratulations Abbi! Share your email and we'll send every new post straight to your inbox!